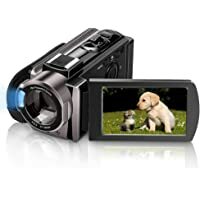 Get Melcam 604AM Full HD 1080p SDHC/SD Camcorder with 16x Digital Zoom for only $18.70. Checkout eDealPC.com to find best deals on Laptop, Desktop & All-in-One configurations that YOU select directly from Dell, Lenovo, Acer and HP. Click here to check it out.